Anthony Blackbourn was a Professor of Geography and the second President of Nipissing University (1983-1990). As President, Blackbourn was responsible for initiating Nipissing University College's charter bid to become a degree-granting university, which it received under his successor, Dave Marshall. Blackbourn taught at Nipissing University as a Professor of Geography until his death in 2002. Some files restricted for privacy reasons. Please see lower-level descriptions for details and consult archivist. 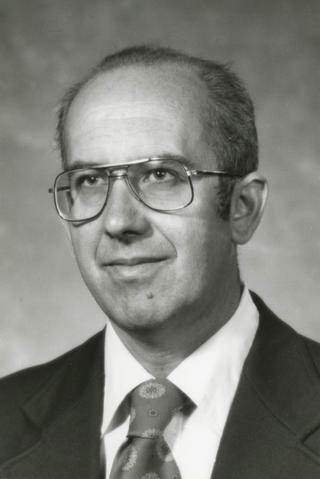 The photograph linked to this description is a staff portrait of Anthony Blackbourn, [198-], from the Office of Marketing and Communications (Nipissing University) fonds.